Amsterdam, 1980s. Detective Jud Cox has just been promoted to the roughest department within the capital cities’ police force. Along with his new partner Montijn, the pair are investigating a murder case that leads to plans of an attack which would occur on the coronation day of Princess Beatrix. The duo must do everything in their power to stop such an attack. 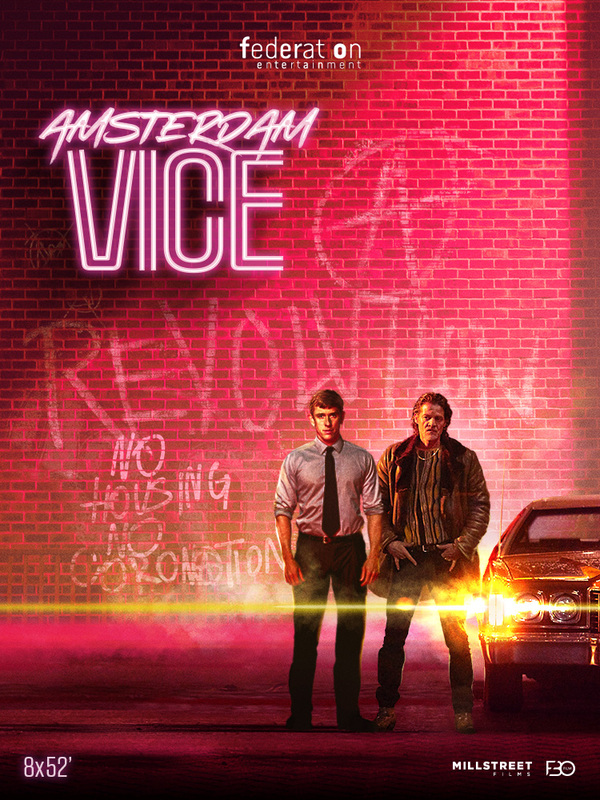 Based on historical facts, Amsterdam Vice combines hi-octane moments with emotional depth. A character-driven drama, about two unlikely detective buddies, is like Amsterdam itself: gritty, yet warm-hearted and witty. Amsterdam Vice is an original prequel to the stories written by A.C. Baantjer, the most successful Dutch book franchise of all time.